Kobalt 14, Milestone / DC Comics, cover-dated July (or maybe August) 1995. "Glass Houses," by John Rozum, with art by Eric Battle, Rober Quijano, & Rus Sever. What happens when Professor Alan journeys back to Dakota, to cover another book from the Milestone line? Can he figure out what's happening, and who the different characters are? Does he finds the story's attempts at excitement exciting? Does he find the attempts at humor humorous? ﻿﻿﻿﻿Next Episode: Captain Victory and the Galactic Rangers 1 - 3, Pacific Comics, cover-dated November 1981, January 1982, & March 1982. 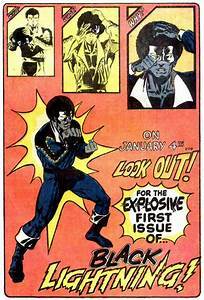 In this electrifying new episode, Emily and Professor Alan talk about TV's newest super hero super star, Black Lightning. They cover his earliest comic appearances from the 1970s, as well as the new TV show on the CW Network. Which version do they prefer, the classic or the new? 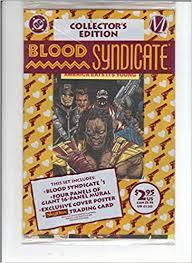 Blood Syndicate 1, Milestone / DC Comics, cover-dated April 1993. "America Eats Her Young," by Dwayne McDuffie & Ivan Velez Jr, with art by Trevor von Eeden & Andrew Pepoy. Professor Alan heads to the Paris Island section of Dakota, and comes face to face with a super-powered gang. Does he make it out of "most dangerous municipality in America" alive? 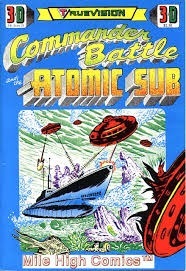 Do all of the characters in this comic make it out of this issue alive? Listen to this "Milestone" episode and find out! 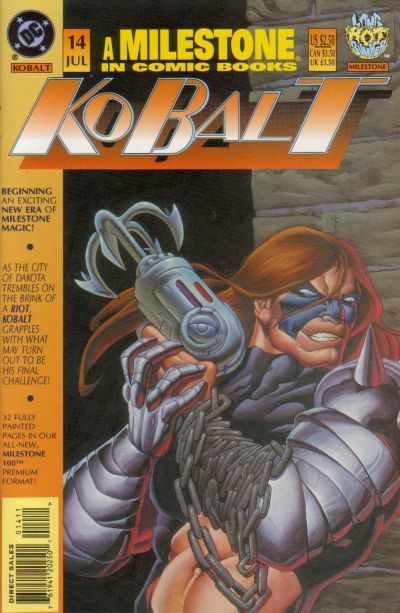 ﻿﻿﻿﻿Next Episode: Kobalt 14, Milestone / DC Comics, cover-dated July 1995.